As someone who’s visited Singapore in the past, I find it strange that couples often write it off as a honeymoon destination. Singapore has gotten a reputation of sorts for being a great family holiday spot with lots of things to do for singles and families with children. However, it does have a lot of romantic things to do with your new spouse. A honeymoon should be a mix of comfort, privacy, and excitement. Get the comfort and privacy you need when you book a hotel room at an InterContinental Hotel in Singapore. The next thing you’ll need to do is ensure that you are well connected with your friends and family back home – and for that, many tourists go through the hassles of finding a SIM card for the short duration of their stay. Consider buying an International SIM Card with which you can avoid roaming costs alongside a package offering voice, data and SMS together. Once you’ve booked your stay and procured your SIM Card, consider visiting these spots in Singapore. Nature lovers or not, Gardens by the Bay is a must-visit on your honeymoon. Sprawled over 82 hectares, this state-of-the-art garden has exotic plants from all corners of the globe. But it’s more famous for its Supertree Grove, a collection of whimsical trees that extend to the sky and light up, making the garden appear like a futuristic movie set. Few people know that these artificial eco-friendly trees actually help harvest solar energy. You’ll have a romantic time walking hand in hand through this fairyland as sweet scents perfume the air. Snugly hugging the coastline, the Changi Point Coastal Walk runs down a 2.6-kilometer stretch, covering a variety of terrain. Stroll through a forest with your loved one and watch the birds flying overhead, or marvel at panoramic views of the sea during sunset or sunrise since the boardwalk is open 24 hours a day. The well-lit wooden walkway adds to the rustic design and offers wonderful opportunities for couples photography. Singapore has a magnificent cityscape, and it’s even more impressive when lit up at night. Gawk at the city lights from aboard a small cruise ship as you sip on wine and enjoy the gentle breeze and each other’s company. From Singapore’s party spot, Clarke Quay, the cruise will glide past landmarks such as Read Bridge, Boat Quay, Fullerton, Merlion Park, Bayfront South, and Esplanade. Looking for an idyllic evening activity? 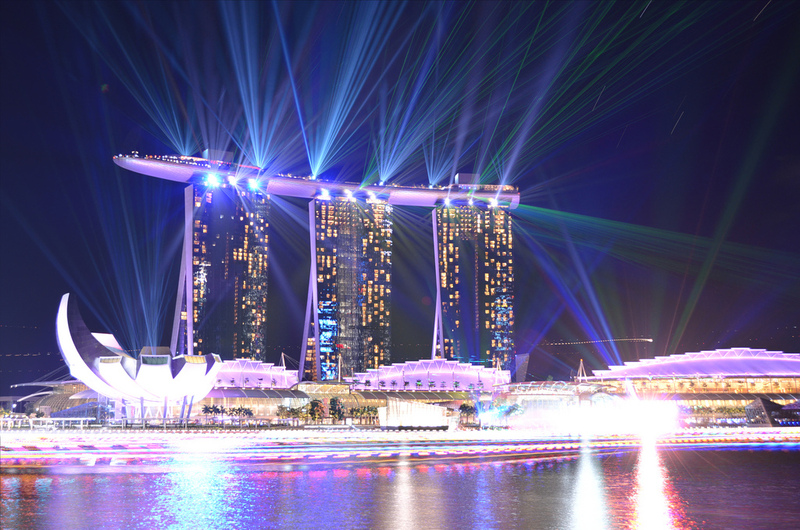 Head to Marina Bay Sands, where water fountains dance, illuminated by lights and lasers, to the well-known melodies of iconic songs. The best part? This activity is free to the public and takes place every evening of the week. A romantic cable car suspended high above the hill will take you from Sentosa to Mount Faber in a tranquil 90-minute ride. Enjoy priceless aerial views of the harbor. You can even have a private meal together on your journey. This one-of-a-kind experience will be unforgettable! 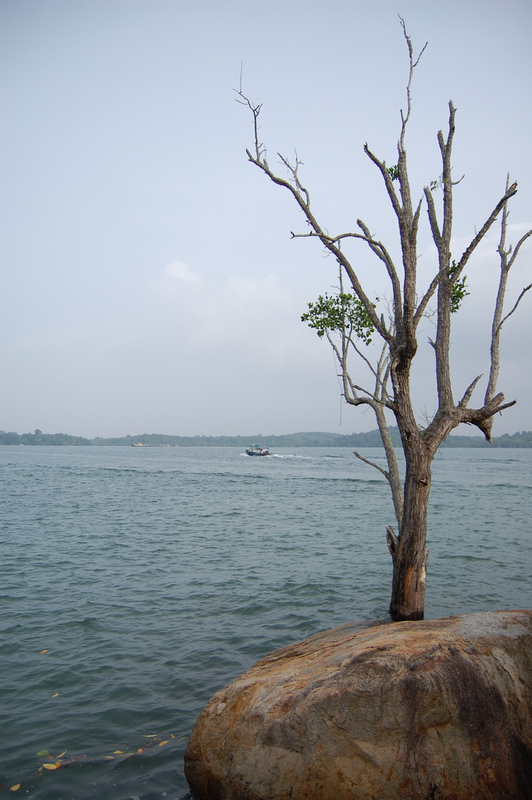 A 15-minute boat ride southward will take you to St. John’s Island, a small, remote island in Singapore. With lush greenery and white sands, this slice of paradise is great for when you crave time in the sun. Go on a picnic, trek through trails, or even go dolphin spotting. I hope this travel guide helps you plan your honeymoon in Singapore!